Editor’s note: We received this letter via Be The Influence. The letter was sent directly to the Windham Middle School and Windham High School principals. 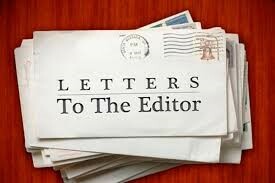 The author of the letter gave us permission to print it in this week’s editorial. I am reaching out to you both today not only as a parent of three middle school students in the district, but through my professional capacity at the American Cancer Society. Yesterday, my colleagues at the American Cancer Society Cancer Action Network held their annual Day at the Capitol event at the State House. This is a day where we gather as advocacy volunteers to speak with our elected officials about important pieces of legislation that have an impact on the health of Maine residents, specifically when related to cancer. One of those pieces of legislation is LD 1028, “A Comprehensive Approach to Prevent and Reduce Tobacco Use in Maine”. This comprehensive bill will allow for opportunities to increase tobacco prevention, education and cessation. Back in the fall, I attended the panel discussion at WMS presented by Mrs. Adams seventh-grade health class to learn about the impact of e-cigarette use/vaping has within their age group and peers. It was through the success of that event that we extended this opportunity to Mrs. Adams and her students, Laura Morris, Mr. Daigle and some of the high school ambassadors to join us in Augusta. I am so very impressed with how well all of these students represented our district. They were well prepared to speak on behalf of the impact that nicotine products (especially e-cigarettes) have on the pre-teen/teen population and they shared insightful thoughts of how to perhaps get ahead of this public health problem. The students met with Senator Bill Diamond, Representative Mark Bryant and Representative Patrick Corey to talk about what they witnessed within their peer groups and how the tobacco industry is using tools to market to them. These students were well prepared with facts and data from what they learned in the classroom and through their collaboration with the Be the Influence Coalition. It was great to see the role reversal and watch the students educate our elected officials about the impact tobacco products have within their age groups. This group of students embody what it means to be tobacco prevention champions and I truly believe their voices made a difference. I heard so many positive comments, both today and yesterday, from senators/representatives, partners and ACS CAN volunteers of how impactful having youth engaged in this important topic is. As administrators, you should be proud of the students and your staff for the positive representation of RSU14. It is evident that your staff go above and beyond to not only teach their students but truly care about the current and future well-being of them. Yesterday was an excellent “hands-on learning opportunity” about the legislative process and how impactful our voices are in decision making process in Augusta. I was not in the gallery with the students when they received recognition and a standing ovation from the entire legislative body while watching the legislative process in action. But I heard it was fantastic!